The breath taking Canterbury Region sweeps across most the middle region of the eastern coast of the resplendent New Zealand South Island. 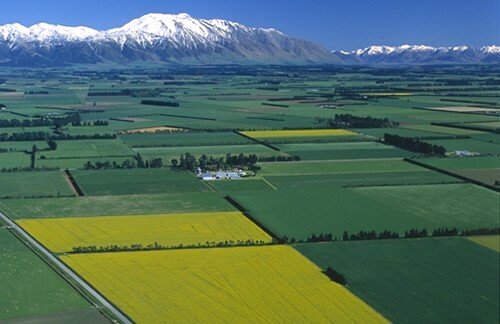 The region includes the entire area of the Canterbury Plains that go right up to the surrounding rugged mountain range that looks down on the coastal towns. It is hard to believe that there are so many stark contrasts in Canterbury, both in region and in landscape, and visitors are literally overwhelmed as they pass through one magical Canterbury world to the next. With the famous Southern Alps creating a dramatic backdrop to some of the world's most riveting selections of natural surroundings, Canterbury can really feel like a surreal experience. 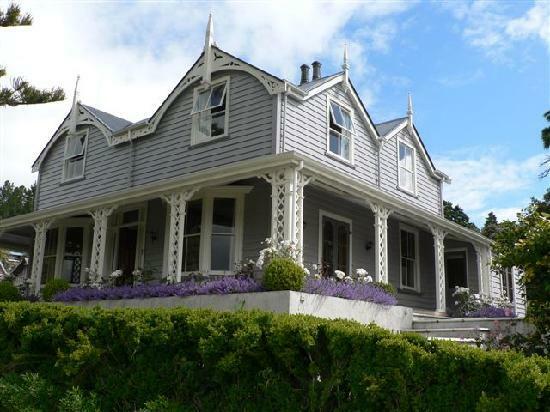 The inland region comprises mostly of lively and productive farmlands that dominate the area around the Canterbury capital - Christchurch, that extend across the glorious velvety cashmere sands and twinkling azure waters that are synonymous with the eastern coast of the dazzling south island. Canterbury has so many exciting facets and is steeped in history and intriguing culture. Akaroa, which is one of the historic and most certainly the oldest town in Canterbury, takes visitors on a whirlwind journey right back into the depths of time, when the coastal port was nothing but a humble whaling trading post on what was almost a deserted and remote coastline. Set in the heart of an ancient and obviously a dormant volcano, the town of Akaroa, is an evocative mix of age old French and British colonialism. Evidence of its fiery and fascinating past is found everywhere, with artefacts and architecture telling tales and fables of years gone by. 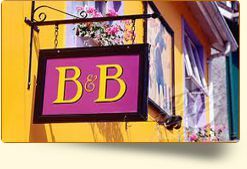 A popular holiday town, people come from all over the world to stay in the charming accommodation that is found here. 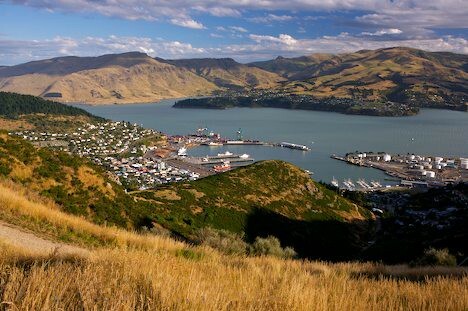 The Lyttelton Harbour is one of two major ports on the coast of Canterbury, located on the Banks Peninsula. Formed by ancient volcanic eruptions, the harbour offers some of the most astounding landscapes on the coastline. Home to the rarest dolphin in the world, the Hector Dolphin, Lylleton offers visitors the once in a life time chance to swim with these highly protected creatures in their natural environment, which can only be one of the most memorable highlights of any holiday. 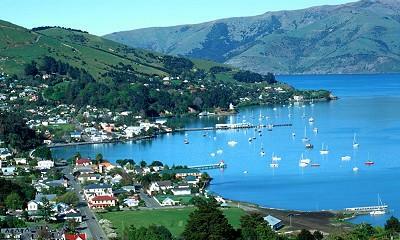 The undisputed premier whale destination of all of New Zealand is just around the corner. Well, a little more than just around the corner perhaps. A two hour drive from the capital city of Christchurch, brings you to whale country and the gorgeous coastal town of Kaikoura, just between the town of Picton and Blenheim on the eastern coast of the South Island. Here visitors can see the giant sperm whale out in the bay, and during the summer migration season, the whales are in abundance out in Kaikoura. 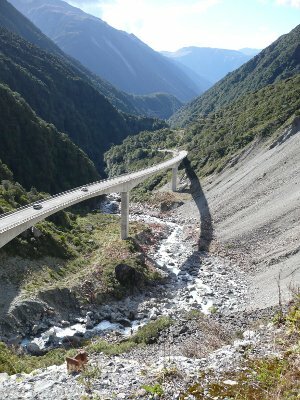 Moving further inland towards the incredible Southern Alps, which is just over an hour's drive from the city of Christchurch brings visitors to the small village of Arthurs Pass, where an absolute abundance of exciting activities are just waiting to be explored. 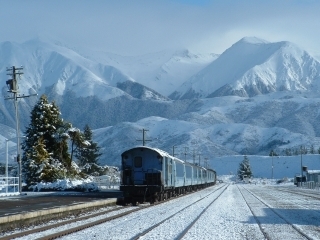 Visitors can also hop aboard the famous TranzAlpine rail trip - one of the most incredible train trips in the world. Starting at the very heart of Christchurch, the train trip meanders all the way around to Greymouth. Visitors coming into the Canterbury Region will land at Christchurch Airport. 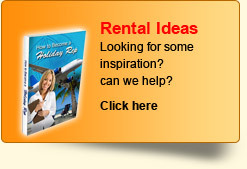 It would be best to pre book a hired car and pick it up from the airport. Central to many of the surrounding towns like Lylleton, which is just 16 kilometres away from the airport, visitors will be able to explore the Canterbury Region quite easily by car.